I’ve added a Resources page again. I used to have a list of websites I’ve found helpful, but as I got further into my studies, I realized that I no longer endorsed the content on those sites. Instead, I’ve replaced it with a list of books that I find myself referring to. I hope you all find it helpful. 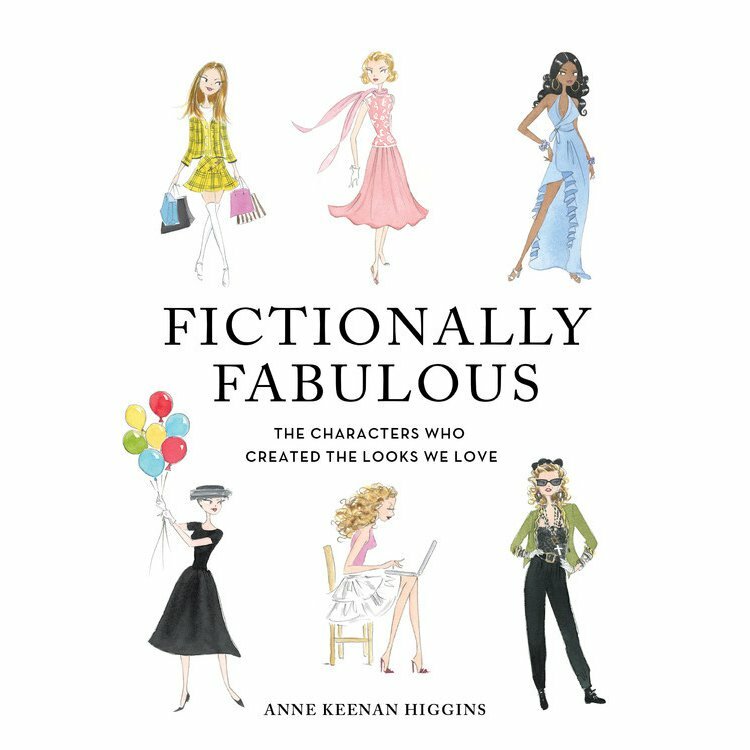 I picked up Fictionally Fabulous: The Characters Who Created the Looks We Love randomly while browsing in Barnes and Noble, and it seemed like it was made for me. It is a book with illustrations of iconic outfits from iconic characters, and it had too many of my favorites to pass it up: Lauren Bacall in The Big Sleep, Jean Seberg in Breathless, Audrey Hepburn in Breakfast at Tiffany’s and Funny Face, Catherine Deneuve in Belle de Jour… So many of my absolute favorites and ones that have had a huge impact on my fashion consciousness. Basically, there are a bunch of fashionable female characters, ranging from Louise Brooks as Lulu to Taraji P. Henson as Cookie Lyon. There is a description of the movie, the character, and her wardrobe in the movie, an illustration of one outfit, and then some characters get an additional two- or three-page spread with wardrobe items. When I flipped through the book I didn’t realize that not everyone got a full spread. I was especially sad to see that Jean Seberg’s Patricia Franchini did not. But still, it’s a fun little book to have if you’re like me and spend a lot of your movie-watching time distracted by what the characters are wearing. The fact that I now have many of my favorites in illustrated form made it worth it to me. 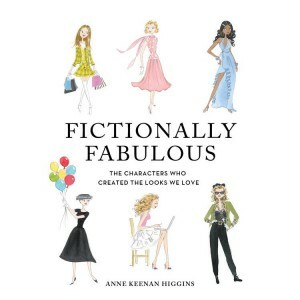 Fictionally Fabulous: The Characters Who Created the Looks We Love , Anne Keenan Higgins, Running Press, 2017. $18.00 (hardcover). Most of the prominent style systems seem to be more or less based on what came before. Truth Is Beauty seems based on Kitchener’s work, which in turn has its roots in McJimsey. Best Dressed is based on Kibbe, which also uses McJimsey’s types. And all of this comes from Belle Northrup and yin/yang. And then Zyla is based on Suzanne Caygill, and Dressing Your Truth is based on any number of four-type systems. So I appreciate it when someone comes up with something that is new. Kati L. Moore’s Fantastical Beauty system is something different. There are set of nine fantasy archetypes, each with a multitude of subtypes, as well as a “base 5” system of the base types Kibbe uses with “rounded/linear” versions, i.e., yin/yang, soft/flamboyant or dramatic. In addition to deciding on an archetype, subtype, and base type, you can also lean within your archetype, creating a system that, while it’s complex, is flexible and has a lot of room for personalization. It is, in fact, too complex for me to explain in a blog post that’s really supposed to be a review of one of the products FB offers. If you’re interested in the system, I suggest reading the blog posts about it, and joining the Facebook group. The blog and Facebook both have new information coming forth on a regular basis. At first, I wasn’t too interested in the system for myself. But lately, I’ve found myself feeling like Zyla’s Mellow Autumn and Dark Autumn clothing recommendations in conjunction with FG haven’t been working for me. The combination is just too heavy and serious. Even though I think my real personality is more Autumn, I think the vibe that works for me needs more fun, more Spring elements. Anyway, I decided to look into a Fantastical Beauty type instead of plunging back into Zyla. My first thought for a FB type was Maenad. But the typical Maenad look is more boho, more music festival, although there is a type of Maenad that wears cute little dresses. I decided to go with Fae, since it seemed like it would add the lightness and fun that was missing from my look at the moment. I think I am probably a Fae, specifically the “Nixie” subtype, leaning Maenad. In FB, your secondary type can be up to 40% of your entire look. Anyway, I decided to purchase the Fae Style Guide, and that’s what I’m going to review today. The Fae guide is 13 pages long, including the title page and some larger illustrations. It includes a basic overview of the type; specific recommendations for clothing, hair, makeup, and accessories; color schemes and combinations for all four major seasons; and then a summary of Dos and Don’ts for the type. After reading the guide, you should be able to understand how this type dresses; however, it does not cover how to work your Base 5 type into it, nor does it go into the subtypes in any real detail–but I have heard that Kati is writing guides for each of the subtypes as well. The system is in its nascent stage, and I can only assume that more materials will come out that will clarify some of these things, although some of it Kati may choose to reserve for clients who pay for an analysis. There are two main issues I have with this guide. The first is price. It is 30 dollars. On the one hand, it’s an original system, with its own recommendations and its own vision, so I can understand that these guides took a lot of work and a long time to create. On the other hand, it’s on the shorter side and does not cover the subtypes or Base 5 variants of the type. From the consumer’s perspective, I would probably find $15 to be a fairer price, maybe $20, especially because there’s a possibility you may lean into another type and need that guide as well. I would like to pick up the Maenad guide, but spending another $30 isn’t something I want to do right now. Whereas if they were $15, I would have bought both in the first place. I think in the end, people would just pick up more guides if they were priced lower, making more money in the end. The other issue is probably a temporary one, but even choosing which guide to buy feels like a gamble. I decided on Fae based on examining all of the different outfits on the blog and discussing whether Maenad was right for me with someone who had the Maenad guide already. There are no clear descriptions of the types on the site, and it’s hard to decide, since there is so much room for personalization. This is both a plus and a minus for the system. It’s definitely a plus if you get an actual analysis. But it makes DIYing hard, since there are so many possibilities even within a single archetype. The price tag compounds this gambling issue, since you won’t know for sure if you’ve chosen the right guide until you receive it and read it. Kati does have Pinterest boards for each type, but I wouldn’t have chosen Fae if the Pinterest board was all I had had to go on. Regarding price, since so many people lean into another type, it would be nice if there were a kind of discount if you were buying two guides together, say, five or ten dollars off. I will post later on how I’m using this new information alongside my Flamboyant Gamine recommendations. For now, I would say that it could be worth getting if you’re pretty sure of what your type is. What I’ve found most helpful is helping me to keep a certain sensibility in mind when I’m looking for clothes. I hope in the future that there will be more information on the blog that will help people choose the correct archetype for themselves. Have you purchased a Fantastical Beauty guide? What do you think? If you haven’t but you’re interested, which type(s) are you considering? 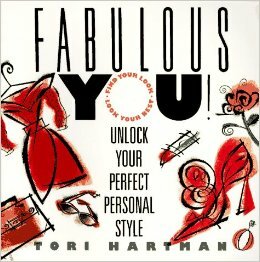 Book Review: Toni Hartman, Fabulous You! 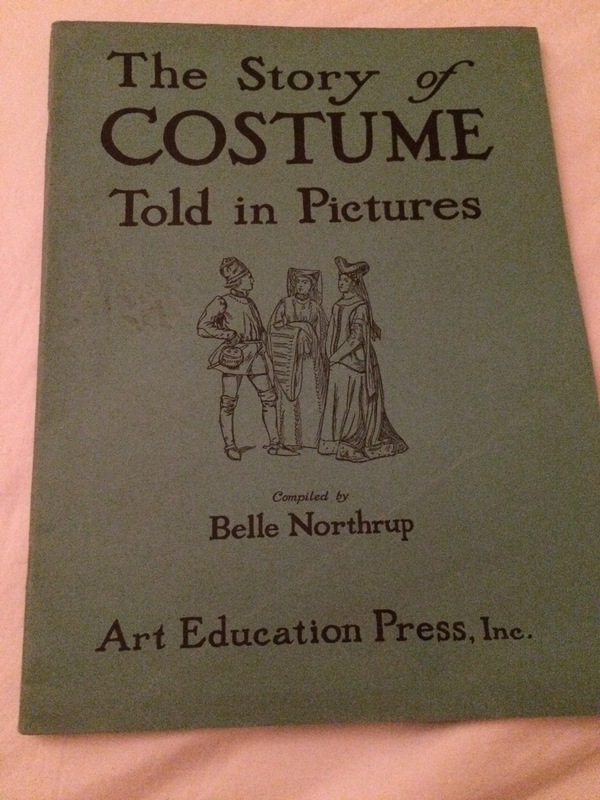 I’m taking a Northrup breather today because I recently got this book in the mail from the always-helpful and lovely Carrie, who was cleaning out her stash and generously sent this to me. I want to talk about the book while it’s still fresh in my mind. As you might be able to tell from the mid-’90s realness being served up by the cover, this book was published in 1995. As such, there is an inordinate amount of attention paid to the Shoulder Pad Question, but otherwise, I think that the advice is pretty timeless. 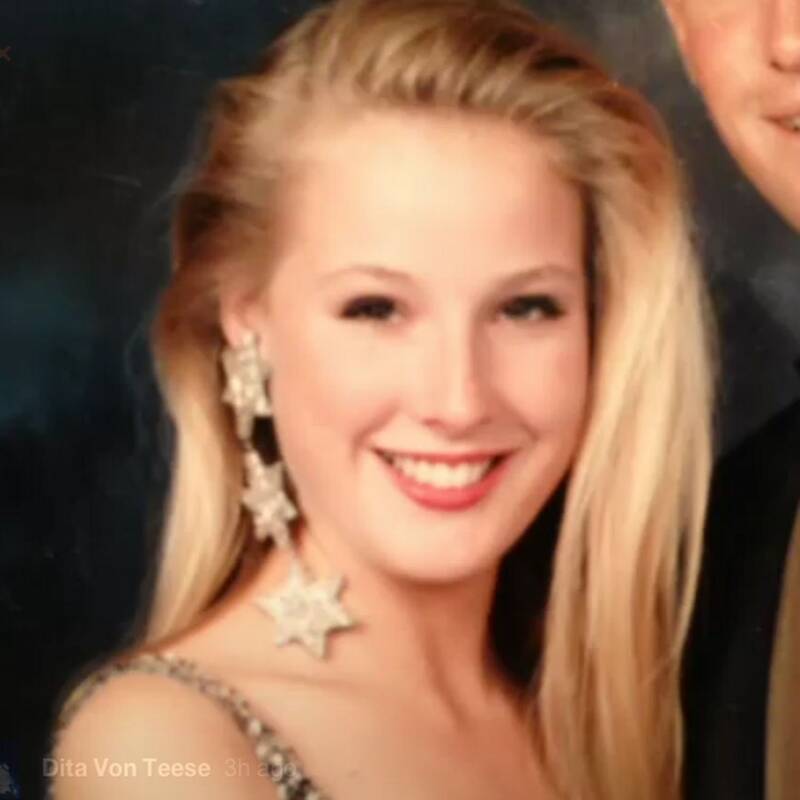 Toni Hartman was a petite model before she became a style consultant (and now she is, apparently, a psychic). 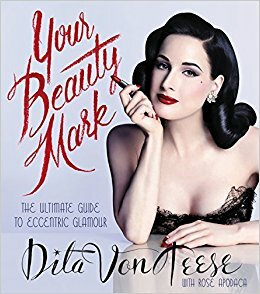 Her book differs from all of the other books and systems I’ve looked at in one major way: it does not mention taking any cues from your external appearance. Your style is not determined by your body type or facial features. You do not find out your season by draping, but instead are supposed to think about how you feel in colors and how others react to them. Your season is determined by the colors you get the most compliments in, but if you don’t feel like dressing in that season, that’s okay too. It is the total focus on your personality and your actual lifestyle that makes me think that this book would be great for someone who is having trouble reconciling their Kibbe with their real life. Hartman, I think, really understands what it’s like to be a woman and to have to deal with all kinds of things and issues while getting dressed in a way that the male style gurus, wonderful as they are, can’t always relate to. She even covers mother/daughter relationships and dating compatibility by style type (she has style types for men, too). But I’m getting a little ahead of myself. She divides women into six types: Sporty (closest to FN, a woman focused on her physical well-being), Romantic (closest to SN, a woman focused on love), Traditional (closest to SC, a woman focused on family), Classic (closest to DC, a woman focused on her career), Dramatic (closest to SD, a woman focused on attention), and Trendy (closest to FG, a woman focused on doing her own thing). You can also be, say, Romantic with an accent of Dramatic. You determine your type by doing a personality and style/beauty habits quiz and making a collage. Once you know your type and your accent, if applicable, she tells you how each type should dress for certain occasions, what they should pack on a trip, etc. 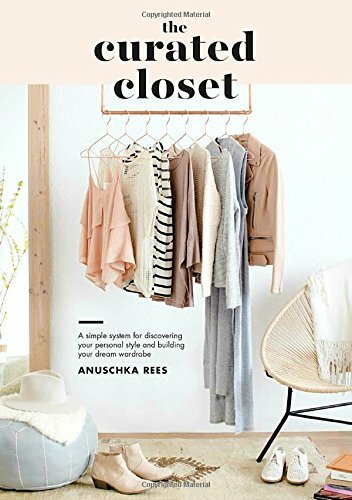 She gives other helpful shopping and wardrobe tips, like department store vs. boutique shopping and what “misses” and “juniors” really mean, as well as a guide to colors and what they represent and what they make you feel. Plus the mom/daughter and men stuff, as mentioned above. 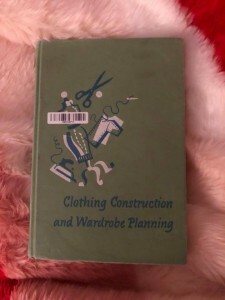 As an FG who is very comfortable in FG and doesn’t have any problems with shopping, packing, etc., this book wasn’t terribly helpful for me, personally. But I think this could be great for someone to pick up who knows their Kibbe type, but doesn’t know how to make it work with their real life or how to express themselves within the parameters of their Kibbe. I think used in conjunction with something that addresses your physical appearance, it can be used to create a cohesive, flattering look that actually works in everyday life. 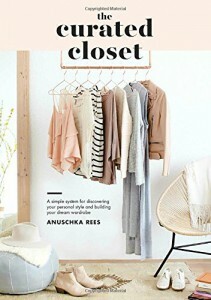 There are lots of books out there on style systems and color analysis. Some of the older ones are incredibly expensive (like, hundreds of dollars), but there are plenty that are either still be print, or can be found used for less than $50. I’m going to be reviewing the ones I own, and like with any book review, I hope that it’ll help you decide if it’s worth parting with your cold, hard cash for, as well as give you an overview of the system described in a particular book. I thought I’d start with David Zyla’s Color Your Style. Zyla’s system seems to be the most popular after Kibbe and Dressing Your Truth, at least on the Internet. If you see a Polyvore set labeled “Gamine Autumn,” that’s Zyla. Zyla’s system seems more or less based off of Suzanne Caygill’s, and if you are familiar with the latter, you’ll see similarities. I’ve only read a little bit about it, as her book is the one that costs hundreds of dollars. But anyway, back to Zyla. 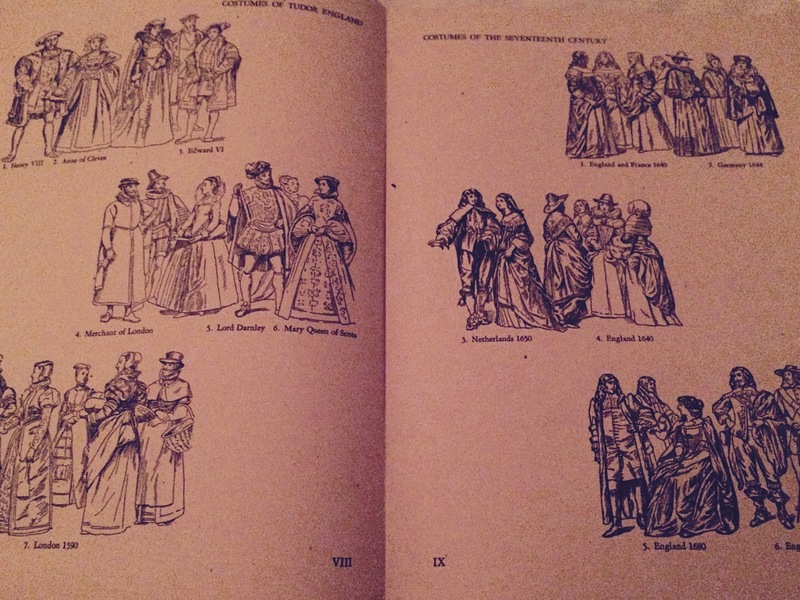 His book is divided into several parts. The first is devoted to figuring out your colors. Zyla has a system where you find colors in yourself–your eyes, skin, hair, etc.–and use them as specific ” bases” and “essences,” like for when you want to be seen as professional or friendly or seductive or whatever. I haven’t done this, but I’d be interested in hearing about your experience if you have. I also think it might be useful to take your Zyla palette and try to match it to a Sci\ART palette, although it obviously couldn’t replace getting your season analyzed professionally. He talks about how to use your natural colors for different purposes, etc., like even what color to paint the walls of your psychology practice. But when I read the book for the second time to write this review, I realized something. If you went by the phone test, I’d be a winter. I want to get done what I need to get done and get out of there and back to my own thing. I get right to the point. People tend to do what I say, even though I’m generally quiet and don’t like attention. These are winter qualities in Zyla’s world. It seems to me that Zyla’s system has a lot more in common with Dressing Your Truth than anything else. Zyla further breaks his seasons down into six archetypes. I found myself in Vivid Winter, the “earthy philosopher.” I feel like even though I’m a Type 3 (Autumn) in DYT, this still works, since I’m a 3/4. He gives oddly specific style recommendations (yes to three-layer skirts of pleated silk, no to sack dresses), but a lot of what he said resonated with me. I do get a tendency to get stuck in a black uniform, and I do need to remember to express my style. His recommendations for the seasons, however, use his color terminology of bases and essences, rather than seasonal colors, so it is easy to adjust them to the colors that suit you, rather than in Dressing Your Truth, where you have one palette that is supposed to work for every Type 1, Type 2, etc. The only issue that I have with this section is that the description for each of the 20 types is so short. I don’t think you can get a good idea of how to dress for your Archetype without actually meeting with Zyla. He then goes into how you can use your color palette for situations ranging from a job interview to a family get-together, and how to overhaul your closet. I do think all of this information is useful. I might try to do my Zyla colors now, and see if this use of color works for me. Overall, I see this system much as I see Dressing Your Truth. I think Kibbe and a Sci\ART-based season make the best backbone for your wardrobe you can get in terms of what flatters your lines and your coloring. But both Zyla and Dressing Your Truth can be used to flesh out your understanding of your personal style, and how to reflect your personality and nature in your wardrobe. I also like Zyla a lot better if I pretend he is not using the term “season” to determine type.